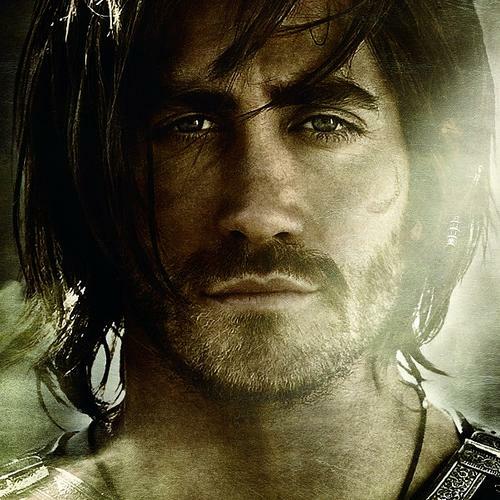 Jake Gyllenhaal will play the Prince in the upcoming film adaptation of Sands of Time. 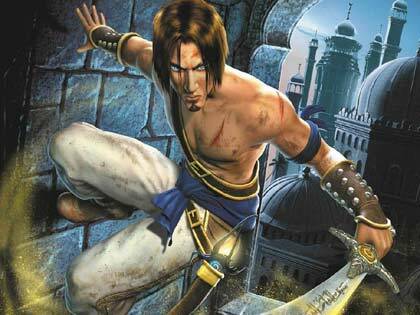 Ubisoft’s upcoming “interquel” in the Prince of Persia series, The Forgotten Sands, brings the series back to the Sands of Time universe and leads fans through the time gap between Sands of Time and Warrior Within. 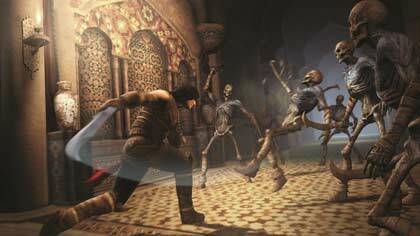 Forgotten Sands begins with the Prince arriving at his brother’s kingdom, only to find it under attack by a menacing enemy army. As a last resort, the Prince’s brother unleashes the powers of the Sand Army that wipe out the opposing forces... but it also turns the citizens of his kingdom into sand statues. 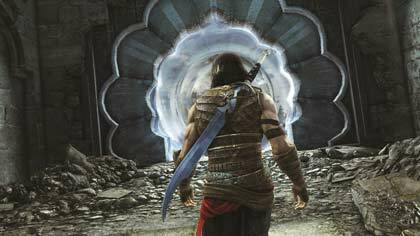 Though the game itself resembles Sands of Time and Warrior Within in many ways, the team wanted to make the world the Prince explores more in line with another big Ubisoft franchise. “We wanted to include a bit of gritty realism, along the lines of Assassin’s Creed, to make the world very convincing,” McIntyre says. The saturated colours of the world resemble those of past Prince games, but the attention to detail — the Prince himself along with his brother’s gargantuan Palace — make the game world more realistic than it has been in the past. The set-piece Palace that players see upon starting the game instantly comes to life, as the ballista-battered locale is invaded by soldiers that strike down the defending army. During the siege, the Prince makes his way across precarious ledges to find entrance to his brother’s fortress. Aside from cosmetic changes, Forgotten Sands puts new abilities at the Prince’s disposal that add new depth to the gameplay. The first one players can use, power over water, allows the Prince to freeze waterfalls and fountains so he can vault his way through the environment. One section involves the Prince freezing water spouts coming out of the wall of the Palace to use as beams; he then deactivates the power in order to jump through a waterfall. Later, he gains the ability to see rock formations as they were in the past. That doesn’t sound very exciting until you see how the Prince can call these formations back into existence (the underground ruins beneath the Palace are a prime area where this ability is used), and the way these formations interact with the subterranean waterways. 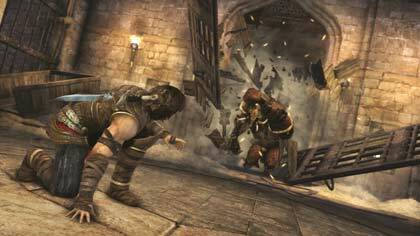 Though our time with The Forgotten Sands was short, it’s apparent that the team isn’t riding on the coattails of the upcoming movie, and Ubisoft is well on its way to treating Sands of Time fans to a worthwhile return to that universe.